Khao Yai National Park (in Thai เขาใหญ่) is definitely one of the greatest parks in the world. This the most popular and also the oldest reserve of Thailand that covers an area of 2,168 square kilometers. The park has got its name booked in the list of UNESCO World Heritage sites as it is home to one of the major undamaged monsoon forests. The visitor center greets the tourists in a very friendly manner and the staffs mostly speak English, which works wonders for flourishing tourism. There are some beautiful waterfalls in the park. The most famous is probably “Haeo Suwat”. Some scene of the movie ‘The Beach’ with Leonardo Di Carprio were shot there. The vegetation, scenery, animals and 50 km of hikking trails make Khao Yai a popular destinations among Thais and tourists. 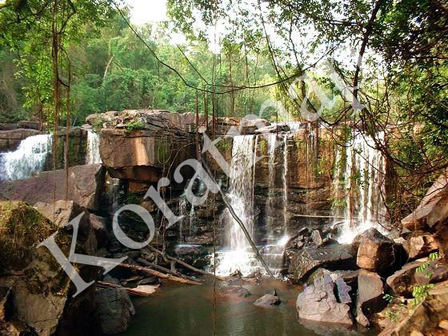 Khao Yai National Park was the first national park of Thailand and it was established on September 18, 1962. Popular conservationists during the 20th century, Boonsong Lekakul, played a key part in the development of this park. It got the recognition as an ASEAN Heritage Park in 1984 and in 2005 it became a part of the UNESCO World Heritage Site. The terrain of Khao Yai National Park, which is Khao Rom, rises 1351 meters high, covering five areas of vegetation. The initial 100 meters to 400 meters are the evergreen forest zone; from the 400 meters to 900 meters, it is the semi evergreen forest zone; the northern slopes between 400 meters and 600 meters is the mixed deciduous forest; 1000 meters and above is the hill evergreen forest zone; and savannah and secondary-growth forest where agricultural work took place prior to its status of being protected. The tourists who travel across the park during the rainy season can witness beautiful orchids. Khao Yai National Park is definitely a hot shot tourist attraction as it serves as an ultimate destination to view varied wildlife such as barking deer, sambar deer, Malayan sun bears, Asiatic black bears, gaur, tigers, leopards and elephants. In fact, there are some 250 wild elephants that wander along the boundaries of the Khao Yai National Park. Apart from animals, the park gives equally prolific views of diverse species of birds. The park hosts a maximum number of hornbills in Thailand and therefore, different types of hornbills are found here such as the great hornbill, Indian pied hornbill, brown hornbill, and wreathed hornbill. More than 300 species of bird can be found in Khao Yai park. Visitors who are willing to experience different activities of the wreathed hornbills, it is better to visit the park between January and March. The diversity of Khao Yai National Park not just ends with the wild animals and birds; there are different types of mammals, reptiles and insects also. Strolling down the park, porcupines, civets, squirrels, wild pigs, snakes, geckos, cicadas, etc. can also be seen. If you are there only for a quick visit, the easiest animals to see are the monkeys on the main road (some guardians gave them bananas in the afternoon) and the deer in some fields. See the pictures below. They were all taken on the same day, in 2 or 3 hours, without going into the forest or any trekking. Khao Yai National Park can be accessed by two main entry points, one is in the northern side and the other is in the southern side. The northern entrance can be accessed through the Nakhon Ratchasima Province, which the southern entrance can be accessed through the Prachinburi Province. 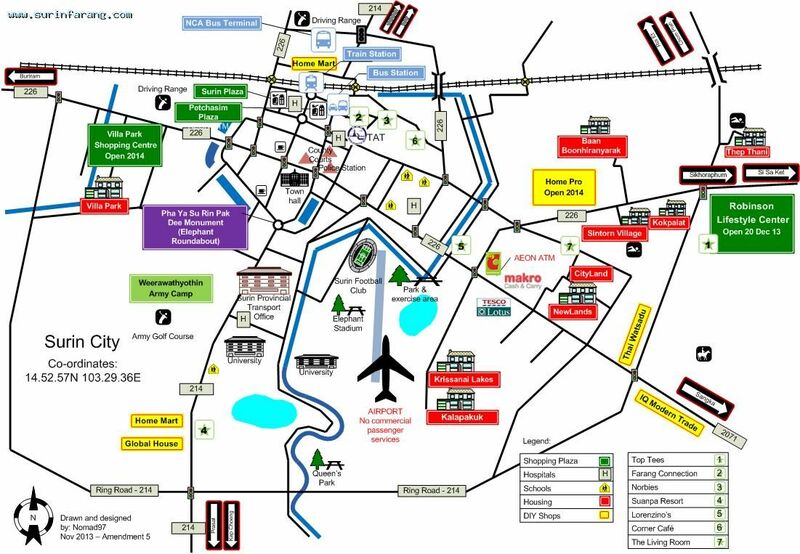 Those who want to visit the park from Bangkok; they can take the southern entrance. The park remains open from 6am to 9pm. Foreigners normally pay 400 baht 200 for children), and Thais only 40. If you bring a proof of residence in Thailand, like a work permit or a Thai driving license, you might be able to pay the Thai fee. 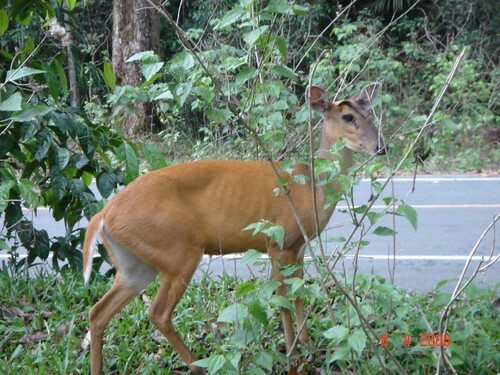 Deer that you can often see in Khao Yai. That one was 2 meters from me.